Celebrate total wellness at the Spa at Hyatt Pune, known to be the ideal place for a quick feel-good experience with indulgent foot and hand treatments, and soothing head massages. A popular choice among five star hotels in a city known for its mesmerizing weather, the spa at Hyatt Pune comprises of 5 beautifully architecture treatment rooms including 2 dedicated Ayurveda rooms, 2 international therapy rooms and acouple suite for a romantic retreat. Heightened by the nourishing touch of therapists, the Spa offers a mosaic of essential therapies that promise to ensure that ‘well-being’ goodness seeps into the body with the healing touch of minerals and essential oils. Guests can indulge in traditional massages or purifying facials. To find out more details about its architecture, interior design, lighting and furniture, Wellness India spoke to Shul Ambawani, Front Office Manager of Hyatt Pune. Area covered by the spa: The spa covers more than 3,500 sq ft of area. 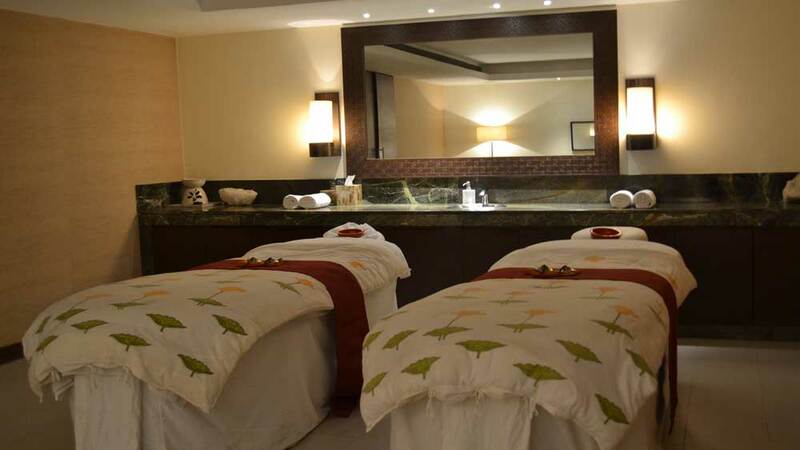 “The Spa at Hyatt Pune is an upscale spa with an intimate, tranquil and serene ambience. The Spa blends the city’s green outdoors with the hotel’s stylish interiors, creating a unique and refreshing experience for the guests. It also offerslatest International treatments using a unique blend of Ananda signature products, which purifies the body and soothesenses. The spa promises total well-being through the integration of Yoga, Ayurveda, meditation and international experiences. The 5 therapy rooms and a fitness center are well-equipped with state-of-the-art cardio and resistance machines. Out of the 5 therapy rooms, 2 are dedicated to Ayurveda treatments while remain two are for international therapies and one couple suite if for those who wish to rejuvenate together while sharing a candid moment,” elaborates Shul Ambwani, Front Office Manager, Hyatt Pune. Spa therapy rooms: The spa contains 5 treatment rooms. Lights used to enlighten the spa: Sunlight for day and artificial dim lights like LED and spotlight at night being used. Spa flooring: Vitrified tiles are used for the flooring in our Spa. Bathrobes in the spa: We use honeycomb bathrobes in ourspa. Wellness industry needs skilled lot: NSDC..